Tidal Bay, who unseated his rider at the eighth fence in the Grand National at Aintree, heads the weights at the five-day entry stage for the Coral sponsored Scottish equivalent at Ayr on Saturday. And My Tent Or Yours (pictured above), second in the Champion Hurdle at Cheltenham last month, remains in the QTS Scottish Champion Hurdle, the main supporting race on the day. 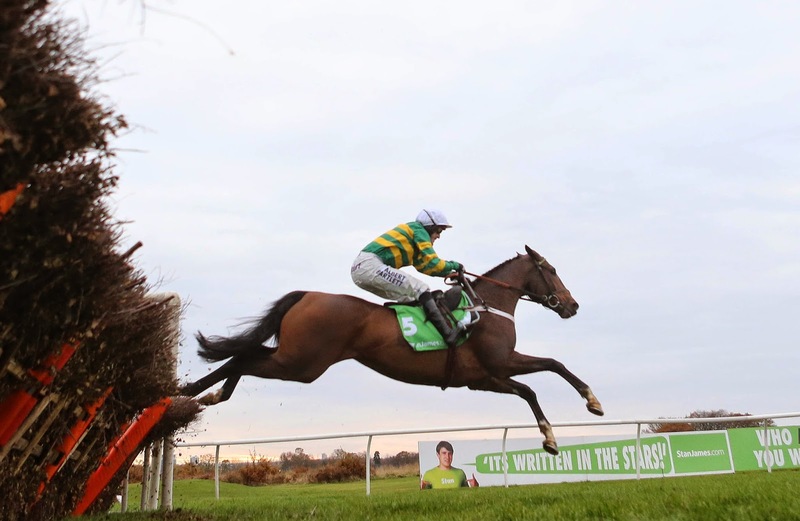 A total of 58 horses remain in the Coral Scottish Grand National including last year’s winner Godsmejudge from the Alan King yard and four horses – Green Flag, Lie Forrit, Nuts N Bolts and Kris Kross – from Lucinda Russell’s Perthshire stables. It looks as if there will be a maximum field of 30 runners for the £200,000 Scottish National, and others who could go to post are David Pipe’s Edmund Kean, Roalco de Farges from the Philip Hobbs stable and last year’s third Mister Marker, trained by Nicky Richards. Among the other horses remaining in the QTS Scottish Champion Hurdle are Gordon Elliot’s Flaxen Flare, last year’s winner Court Minstrel from the Evan Williams yard, and the up and coming Clever Cookie trained at Malton by Peter Niven. And if My Tent Or Yours does run, the sold out signs are likely to go up at the track for the second successive year. There is more than £530,000 in prize money on offer over the two-day Coral Scottish Grand National Festival, and for more information or to book tickets go online at www.ayr-racecourse.co.uk or call 01292 264179.